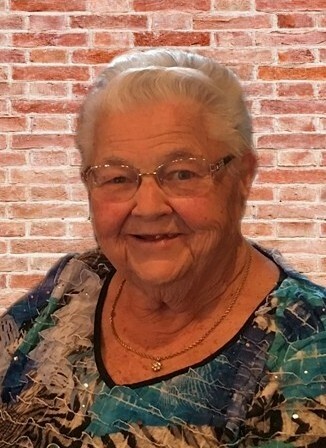 Rose Etta Lutz, 90, of North Vernon passed away at 11:15 a.m. on Monday, July 16, 2018, at her residence. Born April 24, 1928, in Decatur County, Mrs. Lutz was the daughter of John M. and Martha E. (Jones) Smith. She married William Robert Lutz on June 16, 1946 in Jennings County; he preceded her in death on December 1, 2006. Mrs. Lutz was a homemaker, housewife and co-owner of Bob’s Jewelry Store in North Vernon. She was a member of First Baptist Church in North Vernon, Alert Methodist Church in Alert and St. Vincent Jennings Hospital Guild. Mrs. Lutz was a former member of New Bethel Baptist Church and Butlerville Chapter Order of the Eastern Star. She was a Jennings County Girl Scout Leader and served on the Ladies Mission Circle at the First Baptist Church and on several ladies’ church committees at both First Baptist Church and New Bethel Baptist Church. Mrs. Lutz enjoyed cooking, swimming, traveling, sewing, crocheting and reading, she loved her lake. She is survived by her daughters, Phyllis Ann Fear of Columbus and Tammie (Keith) Findley of North Vernon; sister, Viola Ray of North Carolina; grandchildren, Troy Robert (Andreah) Fear of Columbus, Robert Wayne (Deanna) Mull of North Vernon, Macie Sueann (Keith) Bauer of Chicago, Illinois; eight great-grandchildren and five great-great-grandchildren. She was preceded in death by her parents; her husband; grandson, Ryan Fear; brothers, John, Ruben, and Cecil Smith; sisters, Pat Clements, Micky Cooper, Mayme Penick, Lidia Garrison and Mary Ellen Johnson. A graveside service for Mrs. Lutz will be conducted at 10:00 a.m. on Thursday, July 19, 2018, in the Vernon Cemetery in Vernon with the Rev. Connie Barr officiating. Dove-Sharp & Rudicel Funeral Home and Cremation Services were entrusted to the care of these arrangements. Memorials for Mrs. Lutz may be made through the funeral home to Gideon’s International or Alert Methodist Church.